Random and strong Key generation capability plays an important role in modern communication security. Many equipment and programs that use encryption need a high-quality source of random key generator for producing random keys. Security of any crypto-based system depends fundamentally on the security and quality of the encryption key. To provide adequate security the key must be Unique and Truly random (unpredictable). 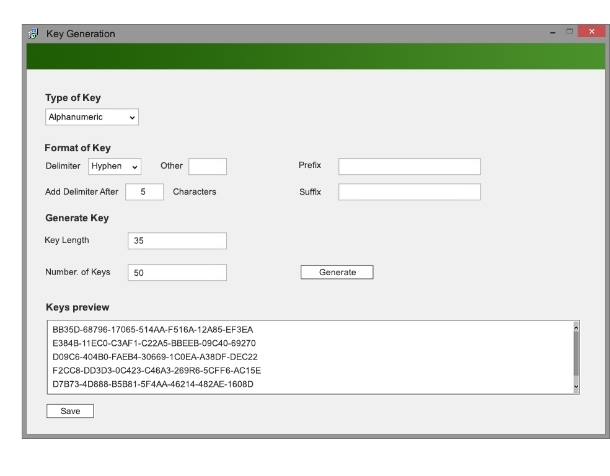 Shoghi has developed a “Random Key Generator” to fulfil the requirement of key generation which provide unique and true random keys.